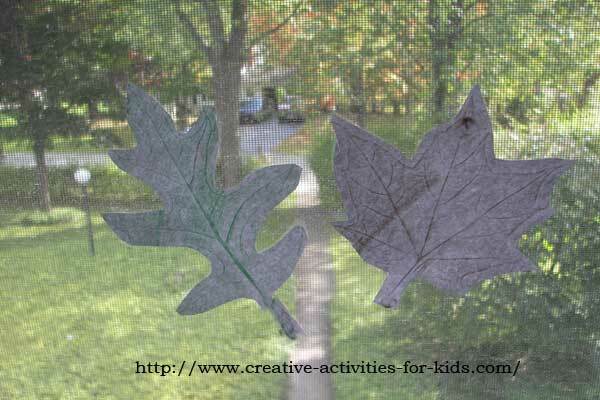 Making leaf rubbings is an easy and fun autumn craft! The finished project can be used as a window decoration, as gift wrap, or as a teaching tool with a leaf identification book. 1. 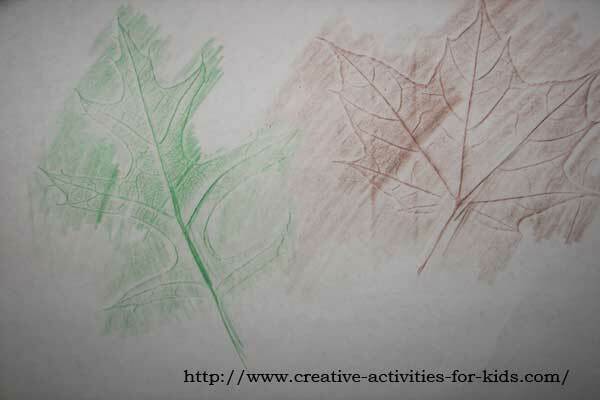 Place leaves textured side up underneath your paper, color across the leaf pressing down hard with your colored pencil or crayon. 2. Continue until you are done! 3. You can cut around the shape of the leaves and hang on the window. 4. You can also hang them on the wall. 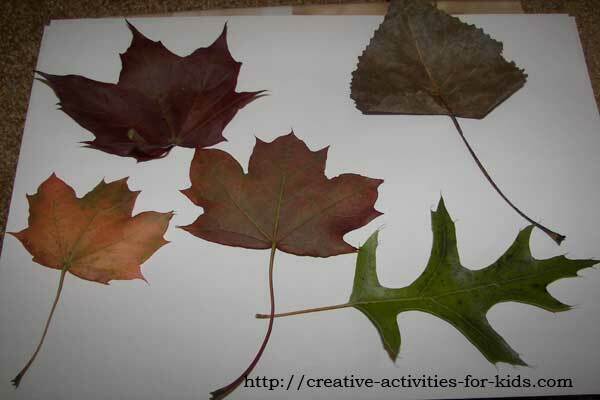 You can also use the finished project to learn the names of all the leaves using a leaf identification book. You can use some Mod-Podge and paste them on a rock for a paper weight, or to cover a journal. 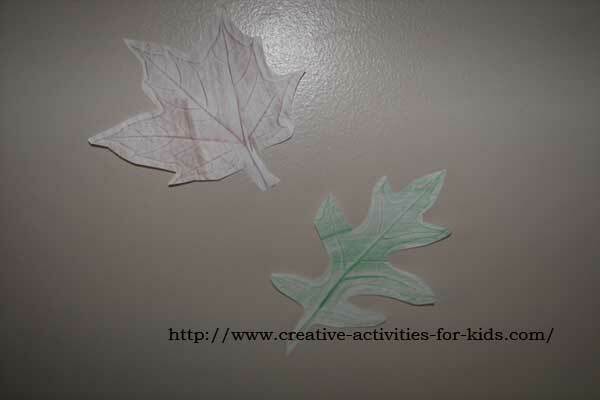 Glue it to some card stock paper for a lovely autumn greeting card. Did you like the leaf rubbings project? Check out more crafts here!